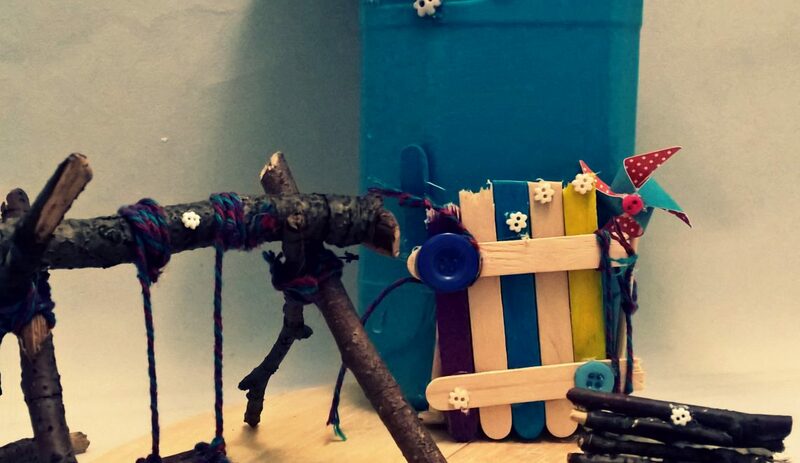 The Fairies Series:How to make a tiny bench, a door& swing for the fairies. 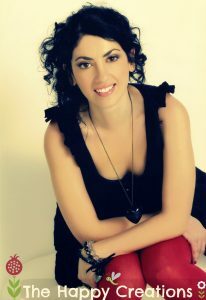 I’m officially a fairy lover, I did believe in fairies when I was a young girl and I still do!! I love the whole idea. 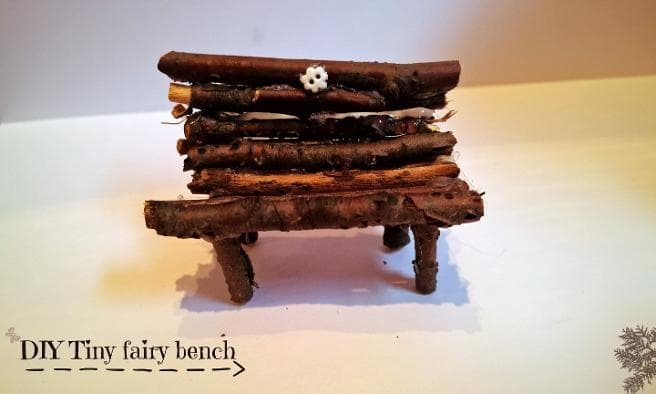 In order to continue with our Fairy Project, we decided to make a wooden bench and a swing for the fairies and of course a door for our wonderful Fairy House. We decided to use simple materials from the house. 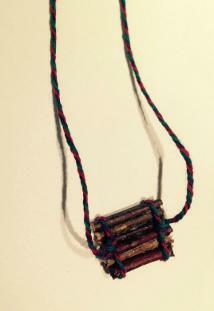 Upcycling is what we love here. 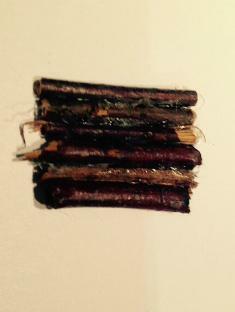 Wooden sticks collected from the park and materials from home. It’s easy. Just follow the steps and have fun. 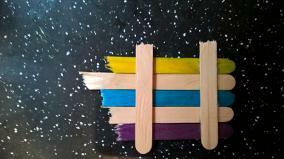 Cut the lollipop sticks to the size of your door. Glue them together as pictured. Tie a twine around your door as pictured. 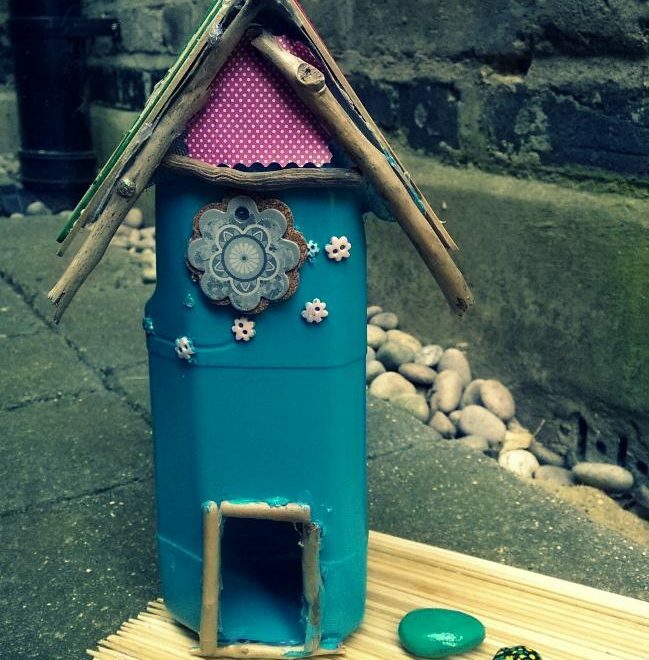 To secure your fairy door to your house glue your twine at the back of your house. Now use a piece of your lollipop stick next to your door. You will use it for your twine when your door is open. Decorate your door and glue a button as pictured. 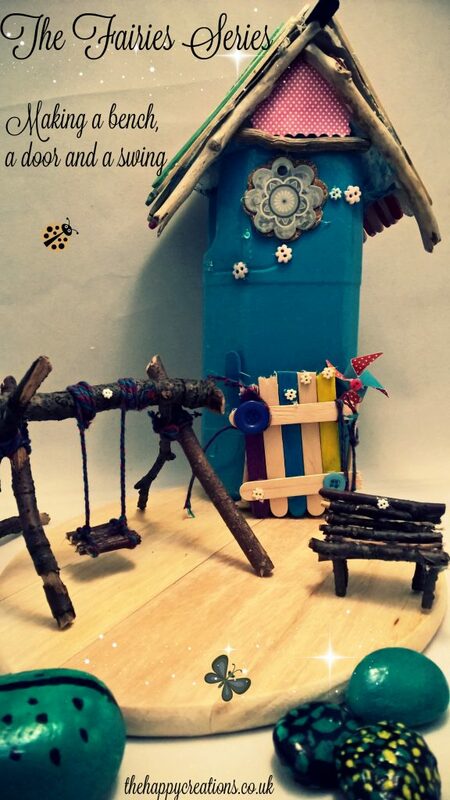 Wrap around your button your twine and voila you have a closed door for your fairy house. Time to make a bench for your fairies now. 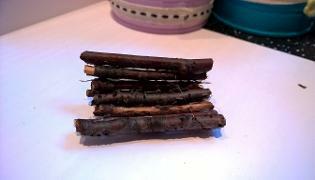 Collect wood sticks from your local park or garden. 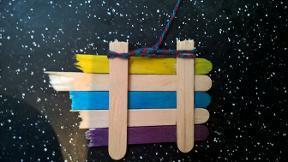 Cut 4 or 5 sticks to the same length and glue them together. Repeat step. Glue your 2 pieces together as pictured. Cut 4 small pieces of wood to make your bench legs. 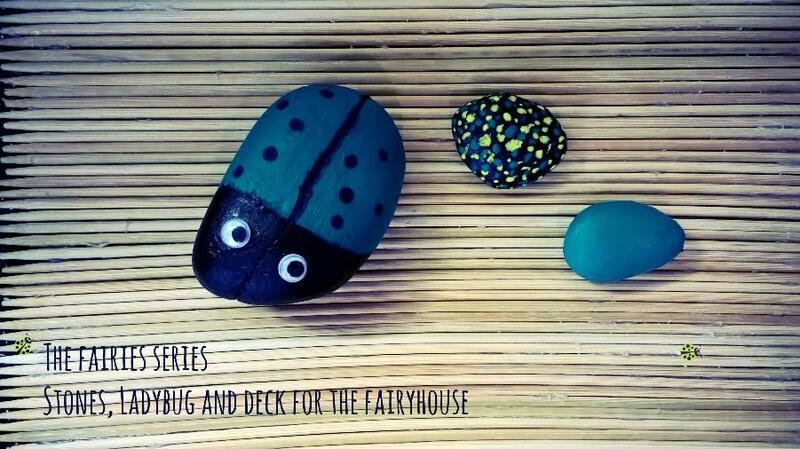 Add a small decoration like this cute button and voila your Fairy bench made in minutes. Now time to make your swing. 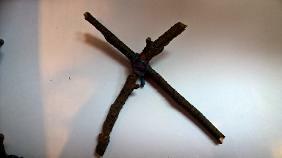 Take 2 wooden sticks that are approximately the same length and tie your twine around them as pictured. 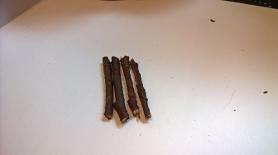 Follow the same step for 2 more wooden sticks. 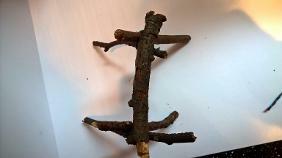 Place a wooden stick over your stands as pictured. 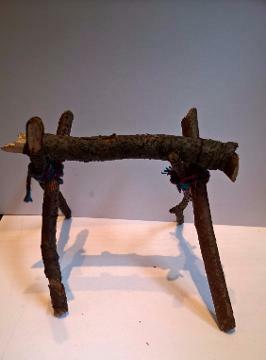 In order to make your chair cut small wooden sticks to the same length and glue them together. 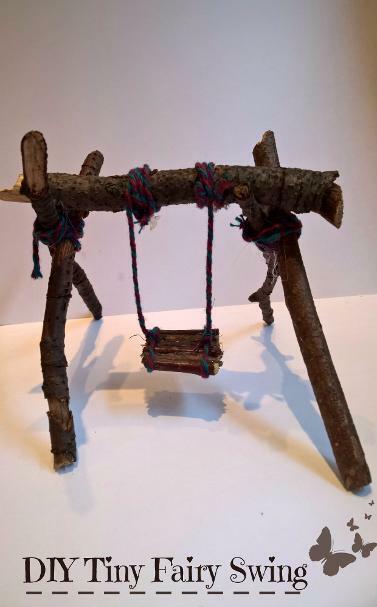 Tie your twine as pictured and voila your DIY Fairy swing made in minutes. In this picture, you can see all the creations from the Fairies Series. We hope you enjoyed the series. All these creations decorate my daughter’s window, she enjoyed helping me make them and she is really keen to make another fairy house soon.